Do you get BA lounge access on partners? 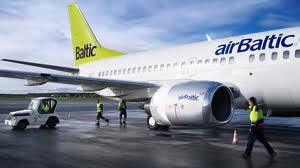 Do you get BA lounge access flying BA codeshares on Vueling, Aer Lingus, Flybe or airBaltic? British Airways lounge access policies are, on the face of it, straightforward. You get access if you are flying in Business or First Class or have a Silver or Gold card or equivalent oneworld status. The devil is in the detail. Can you get lounge access in Edinburgh if flying economy to connect to a Club World flight? Does it make a difference if the Club World flight is tomorrow and not the same day? Do you get lounge access at Heathrow on the way to Edinburgh in economy if you just came off a Club World long haul? How about if you came off a Finnair Business Class short haul? Today I wanted to look at whether you are allowed access to British Airways lounges if you are flying on a BA non-oneworld partner? This means an airline with whom BA has a codeshare relationship, such as – from the UK – Vueling, Flybe, Aer Lingus or airBaltic. This is a situation which comes up frequently now that British Airways has moved to Gatwick South because Vueling, Flybe, Aer Lingus and airBaltic also use that terminal and BA has its impressive lounge complex (click for our review) which is well worth a visit. If you are flying Vueling from Heathrow, you will be in Terminal 3 which also means that there is potential to use the British Airways lounge. …. with a British Airways flight number …..
…… should you get lounge access, assuming you are departing from an airport where BA has a lounge? Logically, you would think you should. In practice, it is even more complicated. For reasons no-one really knows, these are the rules. Even some lounge agents don’t understand them. Bottom line – forget lounge access on a BA codeshare if you are not a British Airways Gold card holder. If you are a BA Gold, be careful where you book your ticket and whether a BA flight number (eg BA1234) is shown on your booking. There is an extra quirk to this if you are flying Aer Lingus from Heathrow. As Aer Lingus is based in Terminal 2, there is not a British Airways lounge you can use. Aer Lingus DOES have a very pleasant lounge of its own, however, as I reviewed here. The rule here is that British Airways Silver or Gold cardholders can use the Aer Lingus lounge at Heathrow or, if flying to London Heathrow or Gatwick, a lounge in Ireland. Your ticket does NOT need to be issued by BA and it does NOT need to be a BA codeshare. 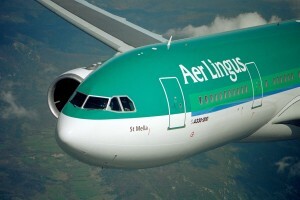 If you have BA status, even a super-cheap ticket booked on aerlingus.com will do the job. This deal only applies to flights to London. If you fly from Dublin to, say, Manchester you will not get Aer Lingus lounge access in Dublin with a British Airways Gold or Silver card. Yes …. complicated, I know! Can I use Malaysia Airlines lounges with a British Airways Silver or Gold card? How do I earn Avios from my online internet shopping? My 85 and 81 year old parents were flying BAclub to Singapore from Edinburgh. The flight was booked on 241 but when they went – airport assisted – to the BA lounge at Edi they were told they were actually economy EDI -LHR so couldn’t go in the lounge. No matter that there wasn’t enough time in LHR. Simply no. Of course they are proud people do left in embarrassment. I was livid as I had booked the flight for them and I can’t bieve BA couldn’t have managed two elderly passengers who would have been made up to have been told they could come in even if apparently not entitled. BA shame on you. That’s dreadful – did you complain to BA? With same day longhaul Club tickets there shouldn’t have been an issue, even if shorthaul connections were in econ.